JUST ARRIVED!! 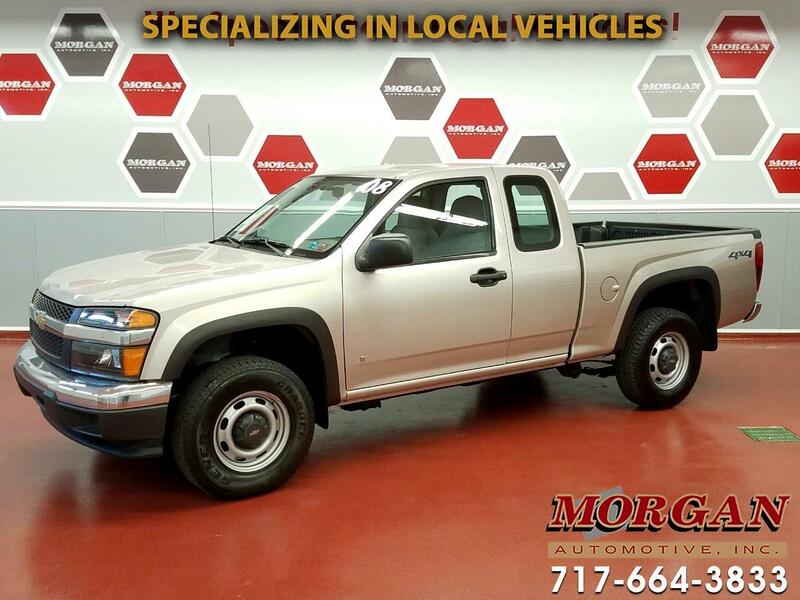 VERY NICE CONDITION AND LOW MILEAGE 2008 CHEVY COLORADO EXT CAB 4WD WORK TRUCK****CLEAN CARFAX****NEW TIRES****This is the perfect choice for a person looking for an affordable 4x4 truck to haul loads of mulch or tow a small trailer/camper. It comes equipped with a bedliner, hitch and 7-pin wiring harness connector, AM/FM radio cruise control and air conditioning. Has a new PA inspection, fresh oil change, and brakes are in very good condition. Comes with a 1 month/1,000 mile powertrain warranty from the dealer with options to extend coverage for added peace of mind. Trades are welcome and financing is available.